The calculation of nutritional values is an additional module of GRS SIGNUM. 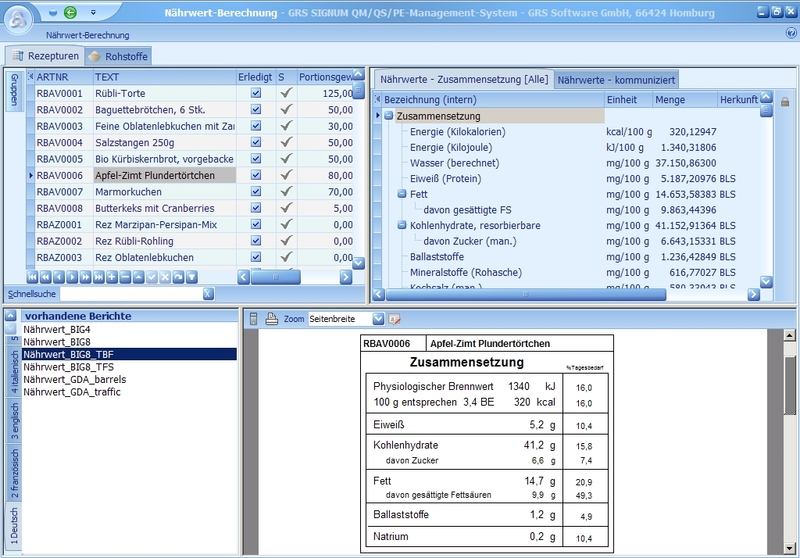 It provides access to the German BLS (Bundeslebensmittelschlüssel) database on nutritional values, which is updated and maintained by the Max Rubner-Institute (MRI), or alternatively to the USDA database (United States Department of Agriculture). Nutritional values from the databases can be copied into the individually defined data structure and amended or specified more precisely using other data. This application can then consolidate nutritional values for the different process stages and produce a nutritional label for the final product (nutrition facts). 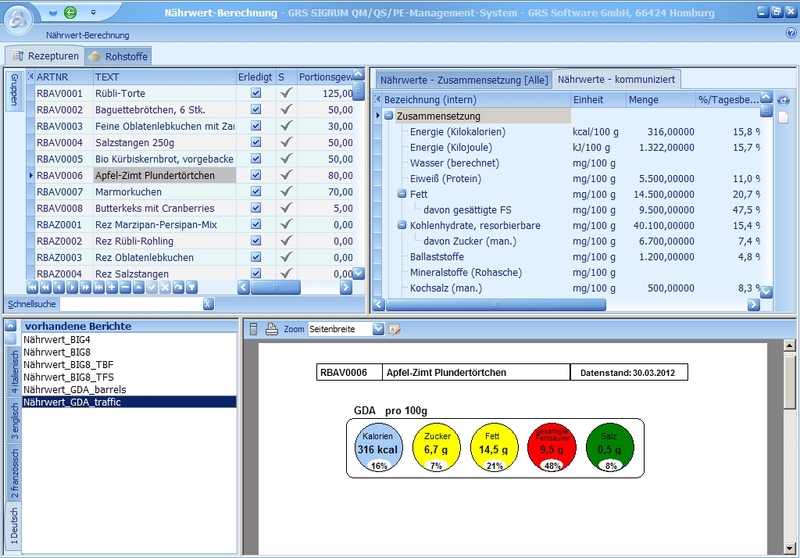 Process losses as well as process additions can be taken into consideration in the calculation of nutritional values. Added to that, it is possible to convert vol% to wt% for concentrates, for example. 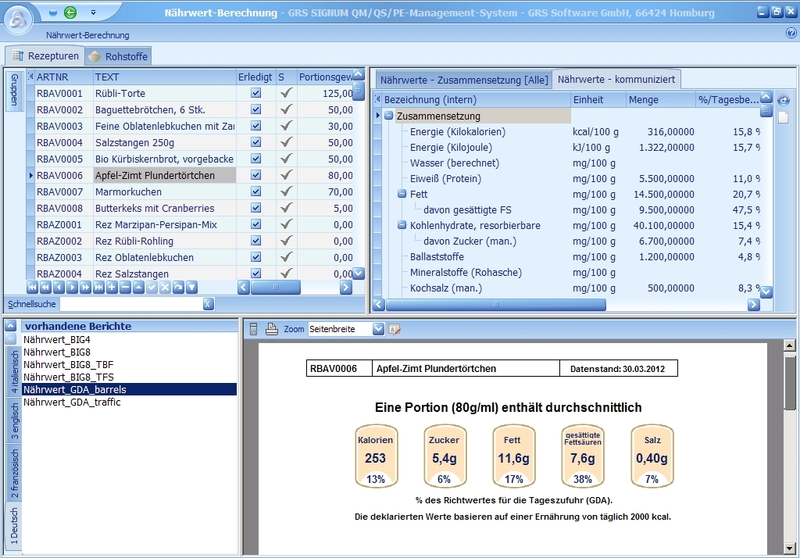 Templates that can be configured for nutritional information (e.g. BIG4, BIG8) simplify data collection. 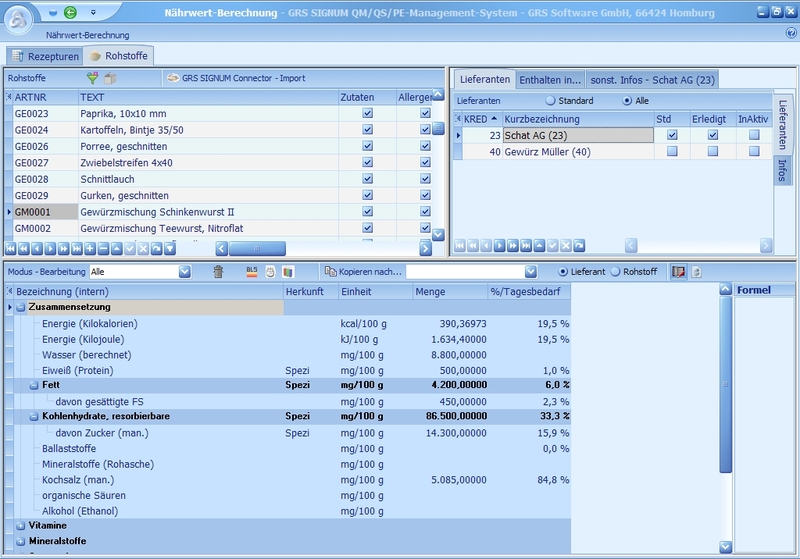 It is also possible to store and use GDA-values.